That’s content marketing: Providing information of value that convinces an audience you are a trusted expert on your topic of mutual interest, and puts you top-of-mind when it is time they make a purchase decision. The model fits every industry you can think of, including yours. 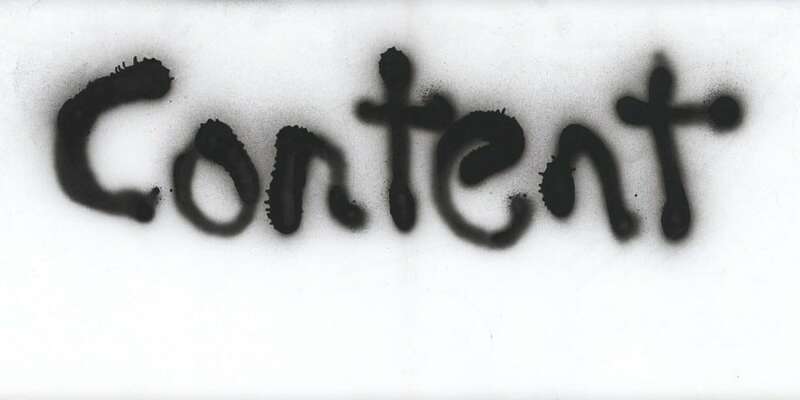 So, you’re convinced that content marketing is the way to go. But how does one start? Getting a strong content marketing program going – and then managing it well while providing successful outcomes – may seem daunting at first. The key is breaking the process down into 5 ongoing steps – Plan, Produce, Publish, Promote and Prove. Even if you’re already dabbling in content marketing and want to ratchet things up to keep pace with the competition, the 5 P’s can help you backfill any gaps in your content program. Flying by the seat of your pants won’t get the job done. You need to put a plan together. The second planning step is deciding who will create what and when. Do not bite off more than you can chew to start. Do be specific about timing and accountability. Create a calendar. Everybody in the organization has big eyes and wants to help, and you need those topical experts on your side. Reality comes in a little differently. People have jobs to do and can find it hard to devote time to content writing and creation. That’s why you need a content marketing champion within your organization. This individual owns the content process (hint: it’s in their job description) and has at least part, if not all, of their focus on content. At first, you may try managing all of this internally. Overtime, content can become a good beast though, and even good beasts need regular feeding. Consider outsourcing your content needs to an agency with expertise in the content realm in general as well as your vertical in particular. Vet content providers carefully. The one you ultimately select should be well versed in SEO, social strategy, and engaging copywriting. Content needs a home. Your website is the obvious answer. But there are additional right answers too. Your blog will live on your website. WordPress has one of the best blog publishing platforms, with Blogger, Tumblr and SquareSpace serving as viable alternatives. Post e-books, but create a landing page for each, so that prospects offer their contact information before downloading and convert into leads. Post infographics throughout your blog and on your website to hopefully drive loads of referral and social traffic. Or, consider publishing content exclusively on social media. Facebook, Twitter, YouTube, LinkedIn, and Google Plus all make it easy for you to publish freely and reach and audience. Here is where the wheels can come off your content bus. You have planned, produced and published great content, but you still need exposure for it. The mantra “If we build it they will come” does not work for content marketing. You must promote your content to get additional eyeballs on it – not just the same old eyeballs that happen to be on or find your website. Content amplification is one tool you can use to reach and engage your target audience and bring them back to your website. Amplification pushes articles, web pages, blogs and infographics out to a new audience. Put someone in charge of social media and use that channel to drive more traffic and leads. Engage in public discussions, make everything easy to share, keep conversations going. Plan. Produce. Publish. Promote. Prove. When putting together your first content marketing program, or when working to improve or invigorate an existing one, divide your thinking into these five essential functions and don’t leave any of them out. Together they make up the most critical elements that will make your content marketing program tick… and stick. About the author: Tom Carpenter is the Marketing Director at Brandpoint, a leading content marketing agency offering content strategy development and distribution services. Take a deeper dive into content marketing with Brandpoint’s free e-book, Fueling the Journey – Moving Customers through the Online Purchase Funnel with Content. Calling all digital marketers and publishers: Share your expertise on the Shareaholic blog. Ping us with a story pitch. Want to join the Shareaholic team? See our available openings.